Markdown editors are growing in popularity as an alternative to traditional word processing software. After trying many Markdown editors and word processors, I’ve settled on Typora. You can try Typora and see why it can be a good choice for a markdown editor too. Just before diving in, let’s cover what Markdown is, and why you might want to use it. Markdown was originally an easy way of formatting text into HTML, the standard web format. Its design doesn’t change the appearance of the unformatted text too much, making it easy to read. Markdown allows the writer to give instructions on how to format the text while remaining less cumbersome, making Markdown easier to understand than HTML The Printable Markdown Cheat Sheet for Beginners and Experts The Printable Markdown Cheat Sheet for Beginners and Experts This printable Markdown cheat sheet provides everything you need to know about Markdown formatting at a glance. Keep it handy and never be confused again. Read More . This may be all well and good, but if you aren’t making web pages, why bother? Why Should I Use a Markdown Editor? Simple text editors like Notepad on Windows or TextEdit on Mac give a straightforward unformatted experience. They are great for taking quick notes but aren’t well suited for presenting written work in an aesthetically pleasing way. By contrast, word processors like Open/Libre Office Writer and Microsoft Word have a dizzying array of formatting options, some of them automatic, many of them potentially infuriating. Remember trying to add images to Word documents? Markdown allows anyone to add code-like instructions to their text to determine how it is formatted. You can either add these instructions manually or by using a Markdown editor like Typora. Whether you are writing a blog post, article, school paper, or even a Reddit post, Typora can help you see how it will look when published. One way Typora shines is in its simplicity. On opening it for the first time, Typora greets you with a blank screen. No pop-ups, no overstuffed toolbar, just two buttons, and a word count. What you type is converted into Markdown in real time. All the simple stuff is covered, from basic formatting to spell checking. There is a pop-out sidebar for folder management and outlines, but it is understated. All buttons for formatting are either in the system menu (which you can disable in Windows in favor of Typora’s hidden side menu) or in a right-click context menu. While looks may not be relevant to some, it is hard to deny that Typora looks excellent. Seeing what you type auto-format into clear to read, aesthetically pleasing text can be a significant boost to your general enthusiasm and focus. If you are a night mode junky like me, you’ll be pleased to know that Typora has a night mode as one of its five standard themes. While each of the standard themes is beautiful in its own way, there are many more options for making your documents look good. Much like HTML in websites, Typora’s Markdown is styled using CSS. This means you can modify an existing theme, or even write your own. Typora even provides a guide to creating your own themes. Typora is available for Windows, Mac, and Linux. I have used it on my powerful Windows desktop and weak little Linux laptop and found the experience to be equally good on both. An experienced writer who uses a Mac recommended Typora to me and uses it as his primary writing tool. No mean feat since there are a wealth of great Markdown editors for Mac The 6 Best Mac Markdown Editors for Everyone The 6 Best Mac Markdown Editors for Everyone These Mac Markdown editors let you write for the web more efficiently. Check out a variety of awesome free and paid options. Read More . Software that performs the same on different platforms can make a massive difference to productivity. 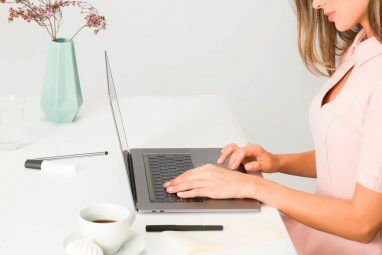 If you have a cloud-synced folder for backing up your writing, switching machines is effortless, and the user experience remains much the same. Typora is perfect for creating blog posts and content destined for the web, but that’s not all it can do. If you need a simple way to write presentations for work, Typora also supports the creation of tables and diagrams from text. 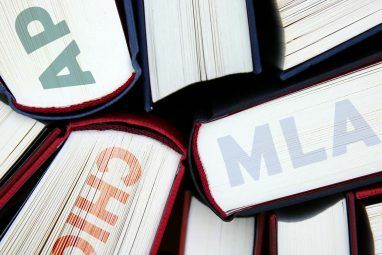 If you are using it to write papers for college, academia or a science industry, Typora supports integration for mathematical formats, inline footnotes readable by hovering, code fences, and task lists. Typora’s Focus Mode works by highlighting the paragraph you are currently working on and greying out everything else. Typora also features Typewriter Mode which will keep the input carat level with the center of your screen, moving the document up as you type. This means that you only need to look in one area of the screen while typing. Some might find these features unnecessary, but I found that both features along with the full-screen mode made for a focused and a distraction free writing experience. Pandoc is the swiss army knife of document conversion tools. It’s available for free from the official Pandoc site. After installation, Typora can use it to convert between different document types. In my use case, I only use it to convert the GitHub flavored Markdown Typora uses into the different forms of Markdown required for my writing work. Being able to import and export text on the fly is a huge timesaver, and allows the user to save their personal Markdown preference locally. Typora is in beta, which means it is currently free. Downloads for all three operating systems can be found at the Typora website. There is no indication of what the price will be when it launches, but the beta will give you an idea of whether you want to support the team behind it. As is likely apparent from the existence of this article, I’ll be buying it on release! As a writer, you’ll spend a long time looking at a screen. Typora might make that experience better for you. No program is for everyone, but after years of jumping software, I think I’m pretty settled with Typora. Markdown is much bigger than a single piece of software, so use this Markdown guide to get started Learning Markdown: Write For The Web, Faster Learning Markdown: Write For The Web, Faster Markdown is the best way to write in plain text but still create complex documents. Unlike HTML or LaTex, for example, Markdown is simple to learn. Read More with it. 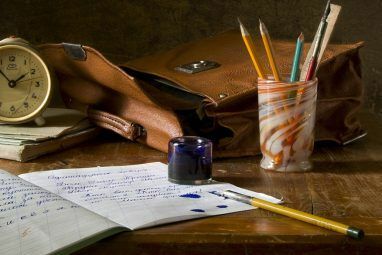 No matter what you write, it will help you write productively. Explore more about: Markdown, Text Editor, Writing Tips. Agree on all points. 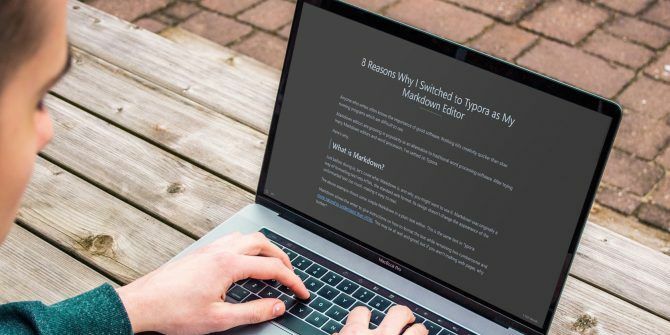 I test drove dozens of markdown editors, and settled on Typora. Writemonkey was a close second. Ditched Ulysses even though I had invested in it. Typora is better. Then open Typora from within Joplin (Typora edits the Joplin note seamlessly). Do all the writing and edits in Typora. Lastly, export from Typora using Pandoc to Libreoffice to share with the world, or if you need track changes.